Church Bell Ringers are a group of bell ringers based in the Chilterns area of South East England. 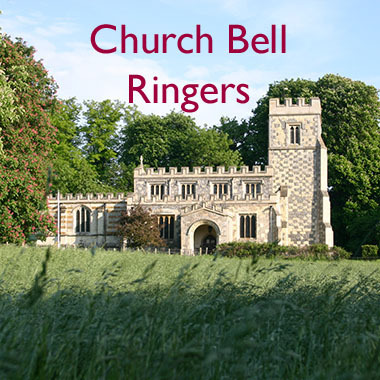 They have recorded high quality examples of their ringing in some of the most beautiful rural Churches in their area, with examples ranging from classic "rounds" (descending scales) to traditional English change ringing on 17th century bells, somber funeral bells, Sunday service, and joyous Christmas and wedding ringing. These traditional English style bell rings are perfect for use in film, television, radio, and other media formats.